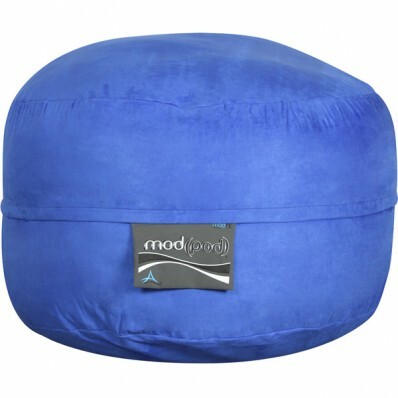 Our Mod Pod Junior 3-foot bean bag lounger in beautiful royal blue makes a statement in any room, and that statement is that you have great taste and enjoy your comfort! 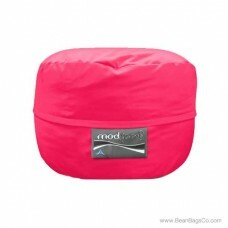 This fun seating option replaces a hard sofa or love seat with hours of cushiony comfort and looks great anywhere. You can choose the Mod Pod Junior lounger for your children’s junior furniture needs or use it as adult furniture in a den or bedroom. The poly cotton royal blue material cleans easily and looks great no matter where you place it. 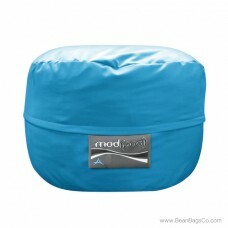 The eco-friendly fill is 100 percent recycled polyester and provides solid ergonomic support to your neck, back and head. The soft outer solid fabric whispers against your skin, inviting you to relax, enjoy a good book or movie, or just have a quiet conversation with your best friend. 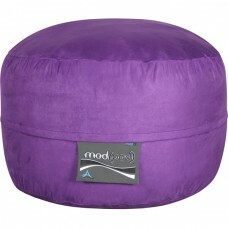 No matter what you decide to use it for, this lounger will be the focal point of any casual furniture area in your home.